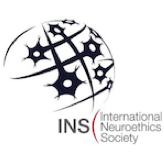 This post is based on the January edition of the “Neuroethics and Neuroscience in the News” series in which Dr. Elaine Walker from Emory University discussed the ethics of assessing risk and treating brain diseases before they can be diagnosed. 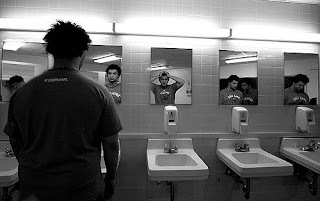 reality that many schizophrenia patients face. Psychotic disorders, including schizophrenia and bipolar disorder with psychotic features, are characterized by noticeable deficits in “normal” behavior accompanied by hallucinations, delusions, paranoia, an early onset (the average age of onset is in the late teens or early twenties), and a derailed life course. Because of its early age at onset, the DALY (disability adjusted life years) value for psychosis is significantly greater than that of other illnesses (1). It’s no surprise, then, that researchers are asking questions. Are there measures that can be taken to keep at-risk populations from enduring a life-hindering disability? Fifteen years ago, the answer would be no. Today, it (just might be) yes. How? 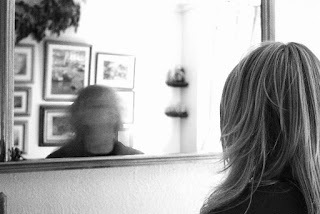 Researchers have recently identified patterns in pre-clinical psychotic symptoms— patterns that many psychotic patients exhibit long before they are formally diagnosed with a disorder. In schizophrenia and other psychotic disorders that “interfere with a person’s ability to think clearly, manage emotions, make decisions and relate to others,” this pre-clinical period is called the prodromal period. During this time, patients often experience gradual disruptions in behavioral functioning (like being suspended from school or losing friends) that are accompanied by subclinical or reduced psychotic symptoms (like hallucinations and delusions). 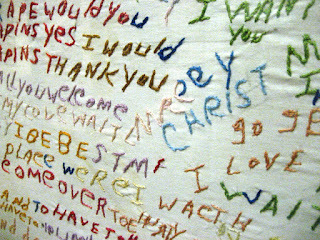 A cloth embroidered by a schizophrenia patient. Countries such as Australia have found ways to make the diagnosis for these pre-clinical symptoms even easier to detect through modern technology and the Internet. Websites are now in place where young people can respond to questions about psychotic symptoms that they may be experiencing and determine for themselves if they should seek mental health care. While it is important to consider the ethical grounds of allowing or encouraging potential patients to “self-diagnose” risk for psychosis (with such ethical concerns including denial of symptomology, missed diagnosis, under/overdiagnosis, and misdiagnosis), most of these tests are thought to be preliminary efforts to encourage patients to pursue mental health treatment in the first place. In 2008, eight independent research institutions (Emory University, Harvard University, University of California Los Angeles (UCLA), University of California San Diego (UCSD), University of North Carolina Chapel Hill, University of Toronto, Yale University, and Zucker Hillside Hospital) combined efforts to research the onset and symptomology of psychotic disorders. They titled their project the North American Prodrome Longitudinal Study, or NAPLS for short. Historically, accounts of patients with schizophrenia-like conditions began to appear in records around the 19th century (2). 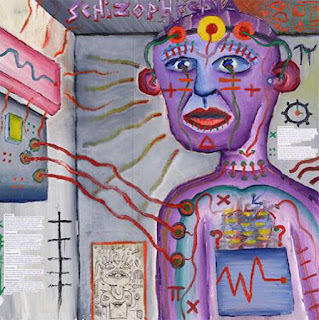 The word “schizophrenia” itself translates directly to “splitting of the mind,” hinting at the divisive nature of the illness and its symptoms (3). Demographically, the disorder afflicts about 1% of the worldwide population (4). “Schizophrenia isn’t about what you think it is (for example, I haven’t scrawled a bunch of complex mathematical equations on a window lately). It’s loud. It is so, so loud—the voices in your head and the voices outside your head and the typing of keys and the vibrations of phones and the TV and the brewing of coffee and the footsteps behind you. Does he need to follow so closely? I’m sorry, what did you just say? I was too busy listening to the voice telling me I’m a loser. During her talk for the January edition of the Neuroscience and Neuroethics in the News series, Dr. Walker emphasized that NAPLS specifically has “generated an interest in the prodromal [pre-clinical] phase of illness, the stage just prior to florid psychosis.” It is in this phase, long before patients meet the DSM-5 criteria for psychotic disorders, that these individuals show a decline in normal function and the gradual onset of psychotic (among other) symptoms. Some studies suggest that the longer the period of the prodromal phase, the worse the prognosis will be for the individual down the line (6). Although the reason for this pattern is still unknown, it is apparent that early, pre-emptive interventions may be able to reduce future behavioral maladaptations and psychotic symptoms. hallucinations-- colloquially called "hearing voices." How is this prodromal phase identified? Researchers at Yale University have developed a structured diagnostic interview, the Structured Interview for Prodromal Syndromes (SIPS). This assessment “evaluate[s] and monitor[s] prodromal symptoms for at-risk and comparison subjects” by quantifying characteristically attenuated psychotic symptoms, such as unusual thought content, suspiciousness, perceptual abnormalities, and disorganized communication (7). SIPS also identifies a “clinical high-risk group”— individuals in this group “have high rates of conversion to psychosis (ranging from 15-35% in most studies) over about two years.” It is under this presumption that the aforementioned psychosis calculators were developed. From here, patients who are identified as “high risk” are admitted into programs (such as the Prodrome Assessment Research and Treatment (PART) program in San Francisco) and monitored over time. They are given resources and therapy that are aimed at helping them cope with their symptoms while better understanding what it means to have the experiences that they do. Dr. Walker also highlighted that the standard of care in these cases does not involve antipsychotic medication. In most programs for individuals showing signs of the prodrome for psychosis, antipsychotics are only recommended when an individual meets the criteria for a psychotic disorder, and prodromal patients, by definition, do not. Basic interventions and therapy efforts (including simple monitoring, family support groups, and interventions aimed at enhancing coping mechanisms), however, have been shown to have a positive effect on high-risk patients impacted by these prodromal symptoms (8). Without a diagnosis, most high-risk patients lack a framework to refer to their illness and struggle to understand what is happening to their lives. Nevertheless, while detecting psychosis early provides great room for intervention, mediation, and monitoring, it is important to understand that there exist potential dangers to labeling an individual as clinically “high risk” in the first place. 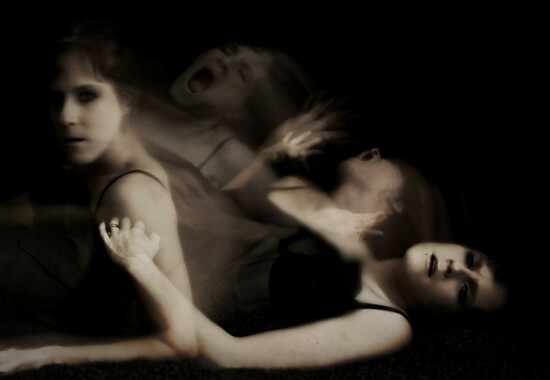 Schizophrenia translates to "splitting of the mind" in Greek. Among these concerns are the consequences of false negatives and false positives as well as the potential for future discrimination that these patients may face from insurance companies or from the broader world. As with all pre-clinical syndromes, the ethical implications of such errors occurring during assessment must be considered in conjunction with the research being conducted in order to ensure that both current and future patients receive the best treatment (9). False negatives, in the context of the prodromal phase of schizophrenia, would be patients who are not identified as “high risk” through the SIPS assessment but are then diagnosed with the disorder at a later age. This type of error may lead to delays in the provision of treatment for the patient after the clinical onset of psychosis (“It can’t be any mental disorder, so maybe he is just acting up and being a typical teenager.”) or may cause varying levels of frustration with not being able to understand and label symptoms themselves or even the condition as a whole (“She doesn’t have schizophrenia, so why is she acting this way? Why is he losing his friends and wanting to drop out of school? What are these voices she is hearing?”). With the lack of a definitive prodromal assessment, patients and families may automatically assume that schizophrenia is out of the question and may subsequently “miss opportunities to intervene” (9). False positives then, in the context of the prodromal phase of schizophrenia, would be patients who are identified as “high risk” through the SIPS assessment but are then not diagnosed with the disorder at a later age. These cases can lead to families investing in “unnecessary expensive interventions, surveillance, and treatments as well as lead to changes in the life trajectories of the patient, caregivers, and entire family” (in the case that the family makes large lifestyle changes to accommodate the patient’s newly identified condition) (9). And, if prolonged, false positive results may also give rise to larger psychosocial consequences (10). If such information were to become part of the individual’s medical record, some ethicists also raise the concern that patients from these pre-clinical studies may be at risk for employment and insurance discrimination, as current laws in patient protection are vague regarding the difference between “diagnosis” and pre-clinical “risk-assessments” (11). As these trials continue to increase in abundance, then, specific policy must be put into place by lawmakers (with consultation from researchers) to reduce current ambiguity and protect the rights of all patients involved. Ultimately, as medicine moves towards early detection and disease modification, we will only see more forms of these early-detection technologies emerge not only in the realm of mental health but also for other illness in general. During this progression, it will be critical for these ethical considerations to be explored continuously, in union with further research. 1) Jones, P. B. "Adult mental health disorders and their age at onset." The British Journal of Psychiatry 202.s54 (2013): s5-s10. 2) Heinrichs RW (2003). 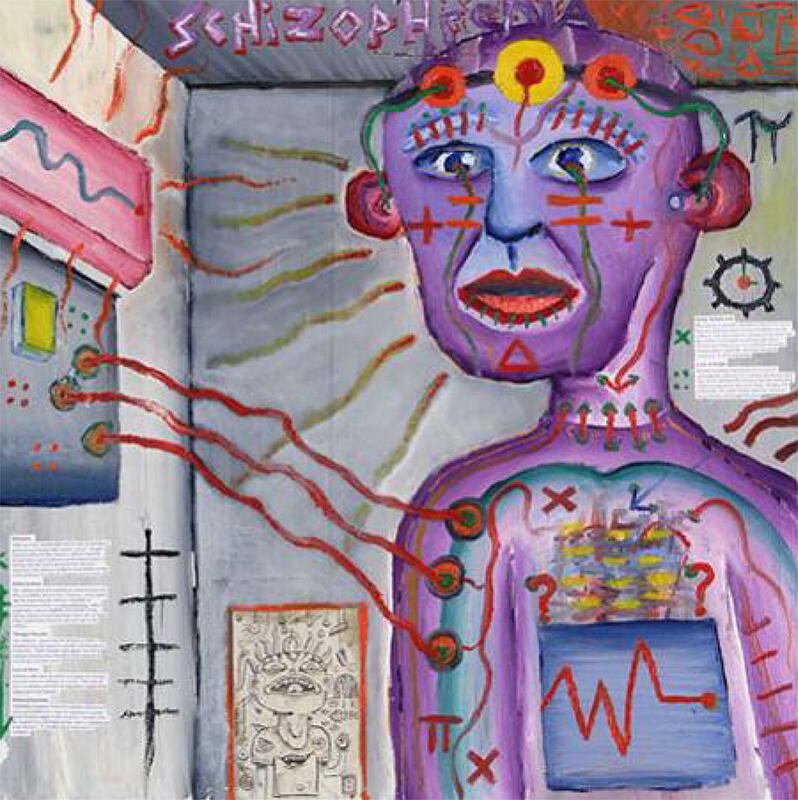 "Historical origins of schizophrenia: two early madmen and their illness". Journal of the History of the Behavioral Sciences. 39 (4): 349–63. 3) Park, Sohee, and Katharine N. Thakkar. "' Splitting of the Mind' Revisited: Recent Neuroimaging Evidence for Functional Dysconnection in Schizophrenia and Its Relation to Symptoms." (2010): 366-368. 4) Gochman, Peter, Rachel Miller, and Judith L. Rapoport. "Childhood-onset schizophrenia: the challenge of diagnosis." Current psychiatry reports 13.5 (2011): 321. 5) "What It's Really Like To Have One Of The World's Most Stigmatized Mental Health Issues." GOOD Magazine. N.p., 04 Feb. 2017. Web. 08 Feb. 2017. 6) Yung, Alison R., and Patrick D. McGorry. "The prodromal phase of first-episode psychosis: past and current conceptualizations." Schizophrenia bulletin 22.2 (1996): 353-370. 7) Addington, Jean, et al. "North American Prodrome Longitudinal Study: a collaborative multisite approach to prodromal schizophrenia research." Schizophrenia bulletin 33.3 (2007): 665-672. 8) Kaur, Tejal, and Kristin S. Cadenhead. "Treatment implications of the schizophrenia prodrome." Behavioral Neurobiology of Schizophrenia and Its Treatment. Springer Berlin Heidelberg, 2010. 97-121. 9) Sarrett, Jennifer C., and Karen S. Rommelfanger. "Commentary: Attention to Eyes Is Present but in Decline in 2–6-Month-Old Infants Later Diagnosed with Autism." Frontiers in public health 3 (2015). 10) Brodersen, John, and Volkert Dirk Siersma. "Long-term psychosocial consequences of false-positive screening mammography." The Annals of Family Medicine 11.2 (2013): 106-115. 11) Arias, Jalayne J., and Jason Karlawish. "Confidentiality in preclinical Alzheimer disease studies When research and medical records meet." Neurology 82.8 (2014): 725-729.